Sony’s new PS Vita gaming console which has been recently launched and only been available for under a month. Has now been tweaked to allow user to be able to play Sega Genesis games. 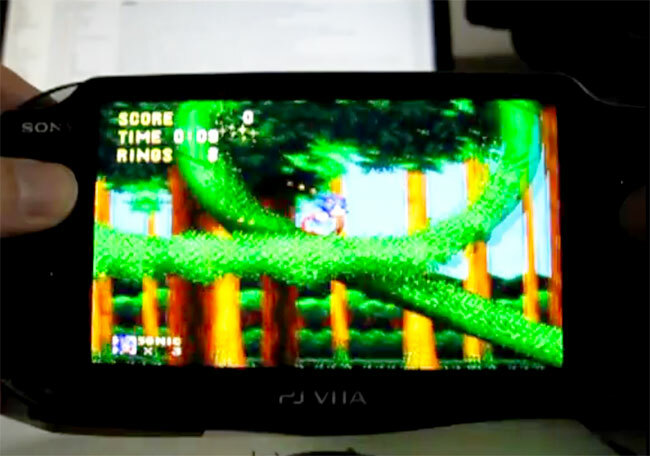 The Sega games are played using a double emulator technique using the homebrew Genesis emulator originally built for the PSP, running inside the Vita’s own PSP emulation software. Watch the video after the jump to see it in action. People who have used HBL in the past will recognize the distorted sound from Sonic, this is due to incorrectly estimated syscalls (the PSP emulator on the Vita is based on PSP Firmware 6.60, which has some enforced securities with syscalls). We might, or might not, fix this before the release.”.